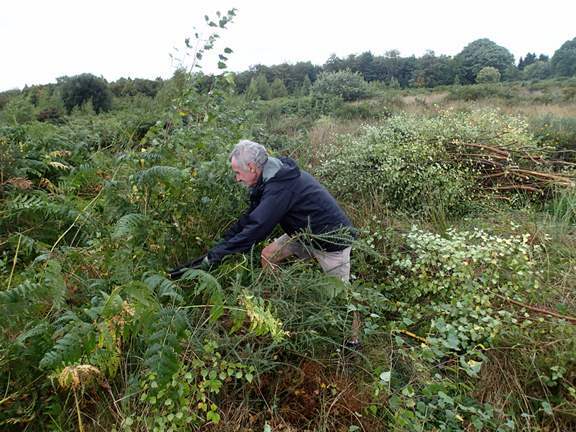 The team are doing three visits to the heathland at Crabtree Hill to tackle the invasive birch. Gloucester Wildlife Trust has fenced 30 acres in order to keep the Exmoor ponies and the English Longhorns on the site as they will do a good conservation job for us but the young birch needs to be controlled manually. The team are gathered together for a group photo. 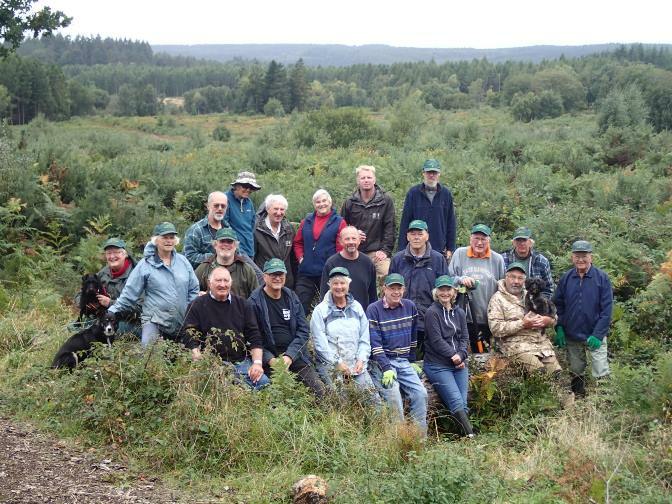 The heathland can be seen in the background and it is a vast area for us to clear! We saw the 10 Exmoor ponies grazing quietly near us. There are 6 English Longhorn cattle now with the ponies but they only arrived yesterday so they are still a little unsettled and we saw them scuttling away. 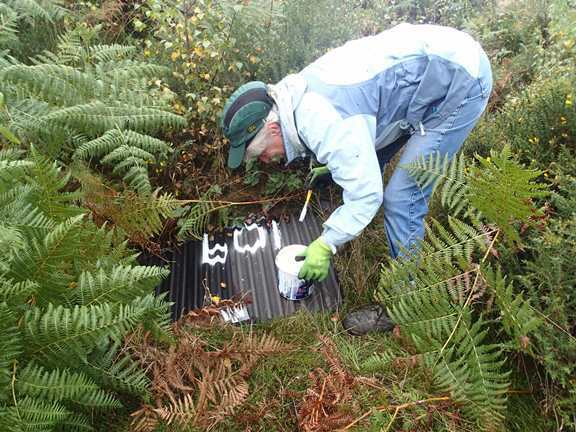 The corrugated reptile sheets needed to have their numbers repainted! There are about 40 sheets and they are regularly checked. So far, we have not found an adder or a grass snake but we have found some slowworms, a lizard, lots of toads and frog, shrews and many ants nests. One of our team is removing birch and we piled them up into small heaps. We did not burn them today as the wind was blowing hard and the heathland is still dry after the summer.